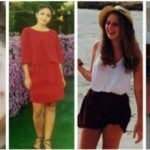 Why Should BDS’ers Be Allowed to Visit Israel When They Demand Others Not Visit Israel? 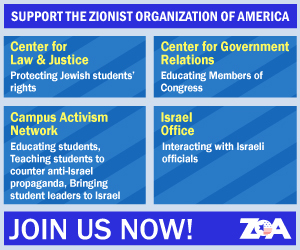 The Zionist Organization of America (ZOA) supports Israel’s Ministry of Strategic Affairs for finally banning the entry into Israel of a list of twenty BDS groups (anti-Semitic, anti-Israel “Boycott Divestment and Sanctions” groups). Many BDS groups are front groups for designated terrorist organizations Hamas and the PFLP (Popular Front for the Liberation of Palestine), as well as Fatah (the leading governing faction of the Palestinian Authority, which still pays terrorists to murder Jews). BDS groups demonize Jews and Israel, and wage economic warfare against Israel; and against Jewish business-owners, farmers, universities, artists, musicians, academics, and other workers; and against companies throughout the world that do business with Israel. U.S. Congressional testimony has confirmed the financial and overlapping leadership connections between Hamas funders and two of the newly-banned BDS groups: American Muslims for Palestine (AMP) and the national Students for Justice in Palestine (SJP or NSJP)… many members of BDS groups incite and participate in criminal violent demonstrations. BDS is the modern incarnation of the Nazis’ ant-Semitic boycott of Jewish businesses, which commenced in 1933 as a prelude to the genocide of Europe’s Jewry. BDS is also the modern incarnation of the Arab League’s anti-Semitic boycott of Jewish businesses and farmers, which commenced in 1945 (before the State of Israel was reestablished), as a prelude to the Arab League’s wars to murder Jews and destroy the Jewish state. BDS has also caused numerous Palestinian Arabs employed by Jewish businesses to lose their jobs, when the targeted Jewish businesses were forced to close their doors or relocate. BDS groups and leaders don’t enter Israel to enjoy Israel’s beaches, or to chat with Israel’s friendly people, or to study life-saving medical advances developed by Israeli researchers, or to visit or pray at Judaism’s holiest sites, or at the holy sites of Christianity or other faiths, or to see the archeological finds that confirm the Jewish people’s presence in Israel for over 3,000 years. The list of banned BDS groups consists of: (From Europe:) AFPS (The Association France Palestine Solidarite); BDS France; BDS Italy; ECCP (The European Coordination of Committees and Associations for Palestine); FOA (Friends of Al Aqsa); IPSC (Ireland Palestine Solidarity Campaign); Norge Palestinakomitee (The Palestine Committee of Norway); Palestinagrupperna i Sverige (PGS- Palestine Solidarity Association in Sweden); PSC (Palestine Solidarity Campaign): War on Want; BDS Kampagne; (From the United States:) AFSC (American Friends Service Committee); AMP (American Muslims for Palestine); Code Pink; JVP (Jewish Voice for Peace); NSJP (National Students for Justice in Palestine); USCPR (US Campaign for Palestinian Rights); BNC (BDS National Committee); (From Latin America:) BDS Chile; (From Africa:) BDS South Africa. Israel’s ban of twenty BDS groups is a good start. 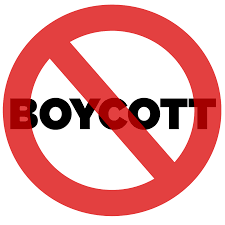 However, additional groups engage in, promote, and/or fund anti-Israel anti-Semitic BDS against all of Israel, and/or against Jewish business-owners, workers, artists, and academics living or working in communities in Judea/Samaria and the eastern portion of Jerusalem. Israel should add these groups to its list of banned organizations, including: Adalah-NY-The NY Campaign for the Boycott of Israel; Al Awda; Birthright Unplugged; J Street; If Not Now; KairosUSA; New Israel Fund; Partners for Progressive Israel; Sabeel; Friends of Sabeel USA; all local chapters of SJP; all member organizations of USCPR; and all member organizations of any other group on the current list.